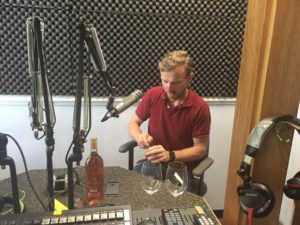 On today’s show, we are talking terroir, orange wine and perfect pairings with international winemaker Matthieu Finot from King Family Vineyards in the heart of Virginia’s wine country. Born in France, Finot has worked in some of the most esteemed wine regions including the Rhone Valley, Burgundy, Bordeaux and Provence. He also worked in Italy and South Africa before heading to Virginia. 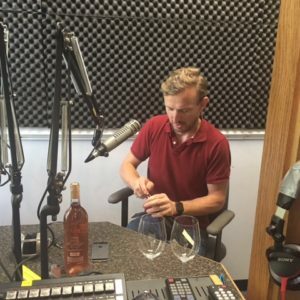 What was supposed to be a short stint in the Commonwealth has turned into more than a decade of winemaking in the Monticello AVA. Find out why a challenging vintage made him stay. Finot also dishes on a daily routine that he believes is the secret to a happy family. Plus, we’re sipping on some Viognier. Find out his secret ingredient that adds mouthwatering acidity to this wine. Enjoy the show!